Texans know their pickup trucks, and they’re falling in love with the 2018 Honda Ridgeline. If that doesn’t convince you, consider some of the many noteworthy aspects of this cutting-edge Honda truck: It’s roomy, powerful, fuel-efficient, and versatile. It offers a comfortable ride and responsive handling, and with staggering towing capability, it can tackle just about any job you throw at it. So whether you’re chauffeuring the kids around San Antonio or carting a load of lumber to the jobsite, the Ridgeline handles both equally well. And because it’s a Honda, you know you’re getting top-notch quality, engineering, and value as well as safety and reliability. We think those are pretty compelling reasons to give this pickup the chance it deserves. RT: Standard features include a dual-action tailgate and in-bed trunk. Sport: Adds fog lights and tri-zone automatic climate control. RTL: Features leather-trimmed interior, heated front seats, and 10-way power driver’s seat. RTL-T: Receives Honda Satellite-Linked Navigation System and Display Audio touchscreen. RTL-E: Adds Honda Sensing, a truck-bed audio system, a blind spot information system, and an upgraded sound system. Black Edition: Includes special-edition black exterior trim, black leather interior, 18-inch black alloy wheels, and red ambient LED lighting. If you’re intrigued by Honda’s exclusive, mold-breaking pickup truck, we invite you to explore the many that we have in stock at Fernandez Honda. You’ll find a varied selection of Ridgeline models to explore at your leisure and take for test drives to determine which trim is right for you. With spacious, comfortable seating for up to five and upscale features and amenities, the interior of the Honda Ridgeline feels more luxurious than a rugged pickup has any right to be. But the Ridgeline manages to bridge the gap, and inside, you’ll find a well-appointed cabin comparable to any you’d find in a premium sedan or SUV. If your cargo needs extended beyond what the bed can accommodate, make use of the 60/40-split lift-up rear seats to expand your interior cargo space as needed into different configurations for the best fit. Available leather seating, a power moonroof, and a power driver’s seat with memory function add extra measures of comfort, convenience, and luxury. Innovation is the name of the game when it comes to the Ridgeline’s exterior. Features like an in-bed trunk, a dual-action tailgate, and an available power outlet in the wall of the bed are just a few of the Ridgeline’s unique attributes. The truck’s unit body is modern and aerodynamic, which boosts fuel efficiency and reduces wind noise. The truck bed is extra-durable, made with a textured composite that is resistant to scrapes, dents, and wear. All six of the 2018 Honda Ridgeline trims are powered by a capable 3.5L V6 engine with 280 hp and 262 lb-ft of torque, paired with a 6-speed automatic transmission. The baseline RT model is only available with two-wheel drive, while all-wheel drive is available for Sport, RTL, and RTL-T trims and comes standard on the RTL-E and Black Edition. Properly equipped two-wheel drive models can tow up to 3,500 pounds, while properly equipped all-wheel drive models can tow up to 5,000 pounds. Why Shop for Your 2018 Honda Ridgeline at Fernandez Honda? Our inventory is second to none in and around San Antonio, Helotes, and Selma, and that’s not even the best part. We have a knowledgeable and friendly staff whose primary goal is making you happy! That means helping you find the perfect car at a price you can afford. 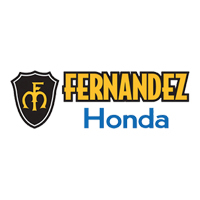 We’ll go the extra mile to ensure that you enjoy your experience with Fernandez Honda, from the moment you speak to one of our associates to the moment we hand over the keys to your new or used vehicle. Contact us today with any questions, or stop by our dealership, located at 8015 IH 35 South in San Antonio, and explore our inventory in person. We can’t wait to help you find your new car, truck, or SUV!